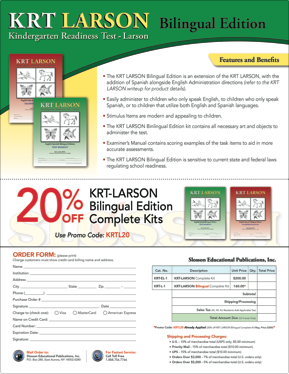 The KRT LARSON was developed to address the expressed needs, concerns and request by teachers and educators of early education programs and parents, who needed more help in making the decision on whether to begin a child in school for a given school year.  Until recently, testing areas of a child’s readiness and developmental maturity to begin kindergarten was limited. The KRT LARSON has been developed to meet the need for a kindergarten readiness assessment instrument that will help assess kindergarten readiness more effectively and efficiently. The KRT LARSON is also designed to be used by other assessment professionals to help in providing information on children of this age level. 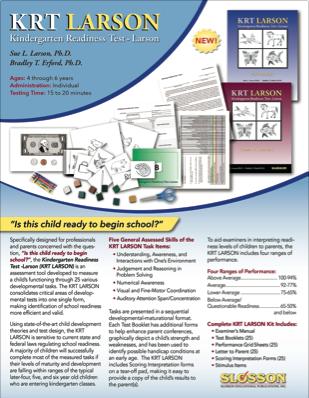 The KRT LARSON is sensitive to current state and federal laws regulating school readiness. A majority of children will successfully complete most of the measured tasks if their levels of maturity and development are falling within ranges of the typical later-four, five, and six year old children who are entering kindergarten classes. 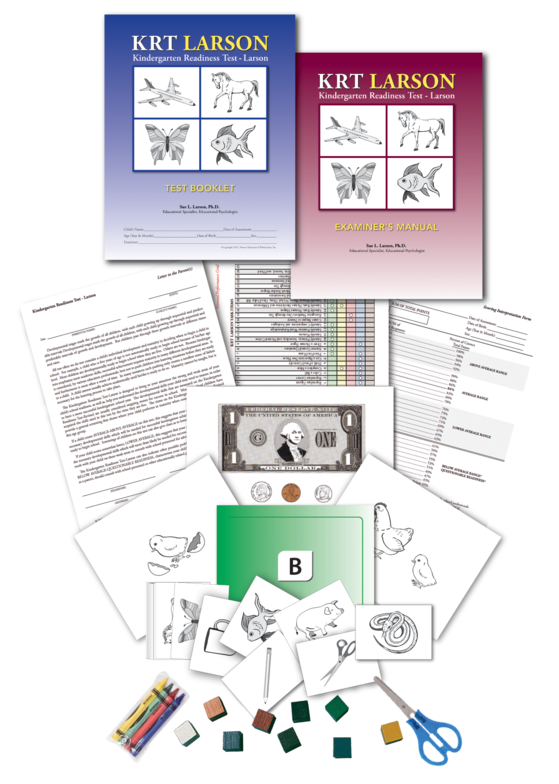 Each Test Booklet has additional forms to help enhance parent conferences, graphically depict a child’s strength and weaknesses, and has been used to identify possible handicap conditions at an early age. 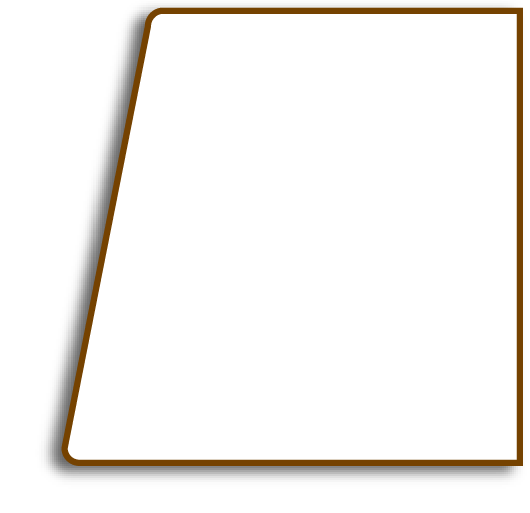 Tasks are presented in a sequential developmental-maturational format. 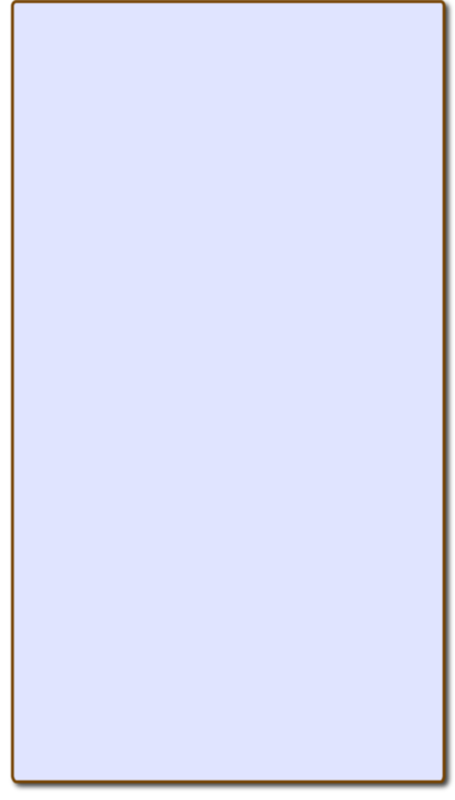 The KRT LARSON includes Scoring Interpretation sheets. Send a copy to the parent(s) of the child, and the other is to be kept for the school record. 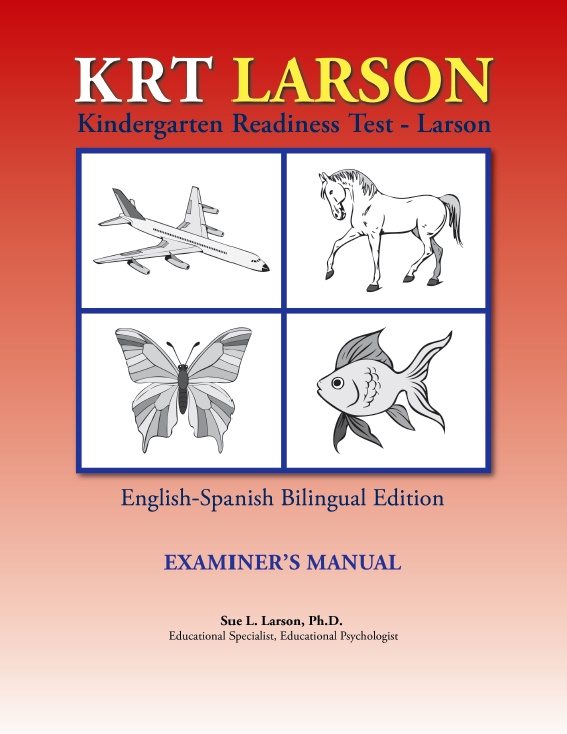 To aid examiners in interpreting readiness levels of children to parents, the KRT LARSON includes four ranges of performance. While the primary purpose of the KRT LARSON is to assess a child’s readiness for school, the KRT LARSON can offer the examiner other information about the child, for example to highlight strong and weak skill areas in a child’s development, as well as developmental skills a child may need to work on to succeed in kindergarten.